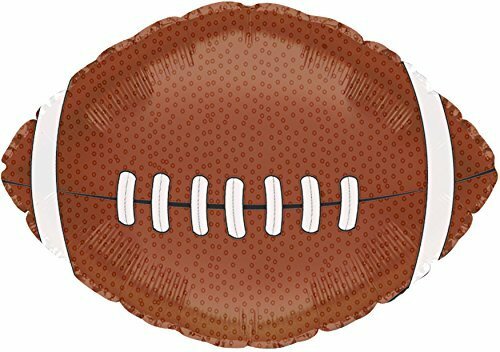 Packaged 18" Football shape foil balloon. Pack of 3. 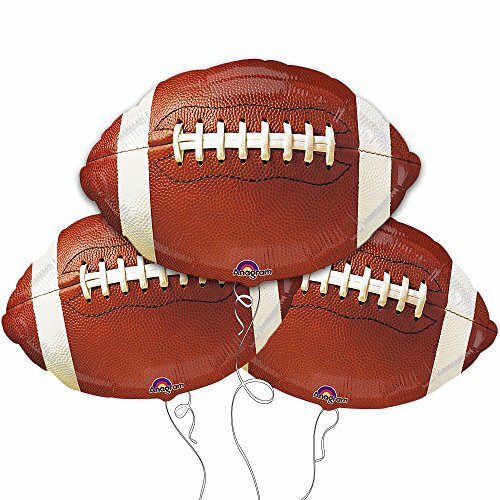 You get 5 football design balloons. Just add helium and celebrate. 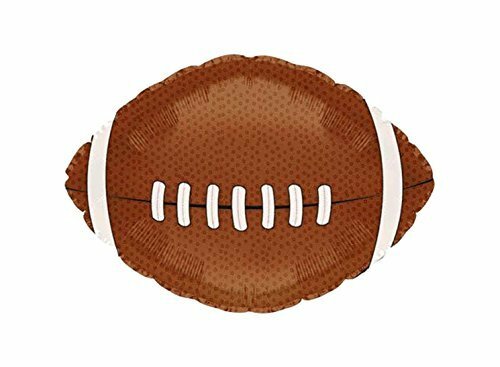 Bouquet Football. This bouquet includes 1 Super shape balloon, 2 printed 18" balloons, and 2 Solid color 18" Balloons. The perfect addition to any party. 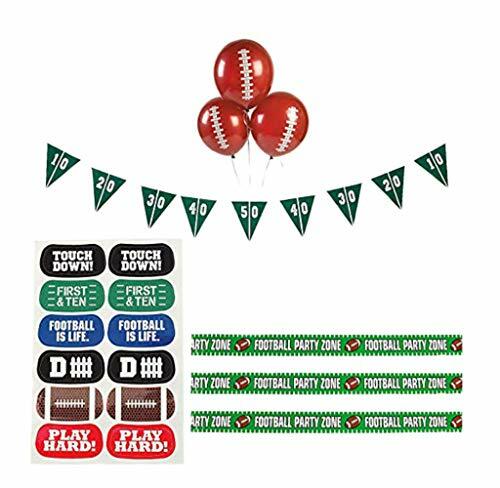 Make a statement at your next party with the End Zone - Football confetti and balloon baby shower or birthday party combo kit! 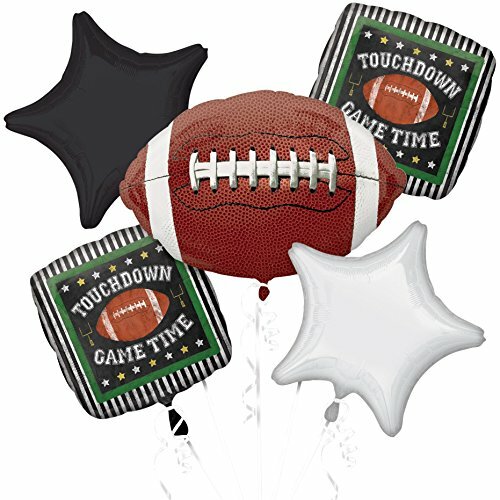 This kit contains 3 - 18" football shaped mylar balloon, and a 16 pack of 11" black and white latex balloons and 27 piece table confetti. Balloons are a perfect and inexpensive way to add color and fun to your next event. The shaped balloon requires helium to be blown up and the latex balloons can be inflated using helium or blown up with air. Easy, simple party decorations for your birthday party, baby shower or any kind of celebration. You will receive 12 latex balloons. 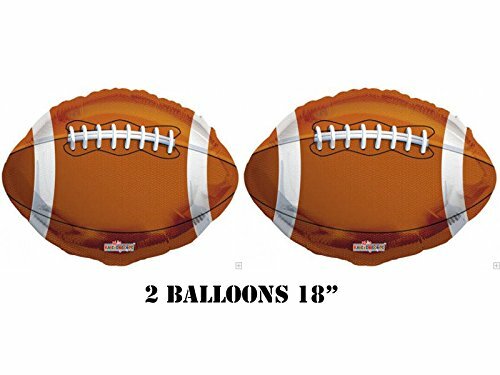 Round balloons are approx 11 inch. 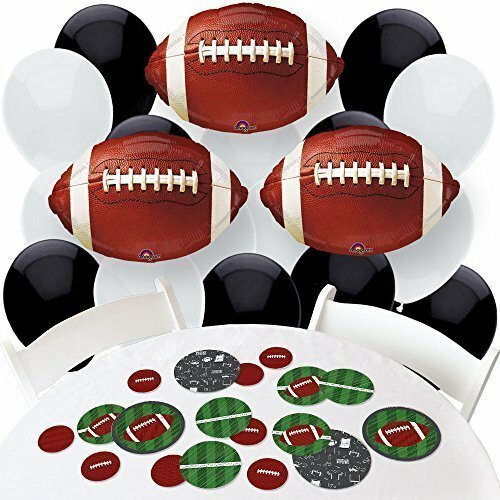 Great addition to your football themed party. Please note you will receive balloons only, string is not included. 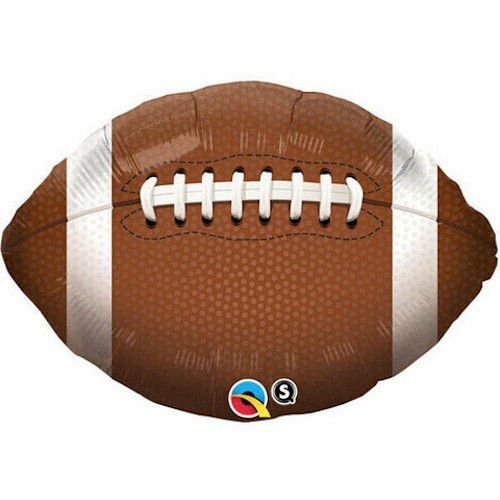 36" Packaged Football shape Suprafoil balloon. 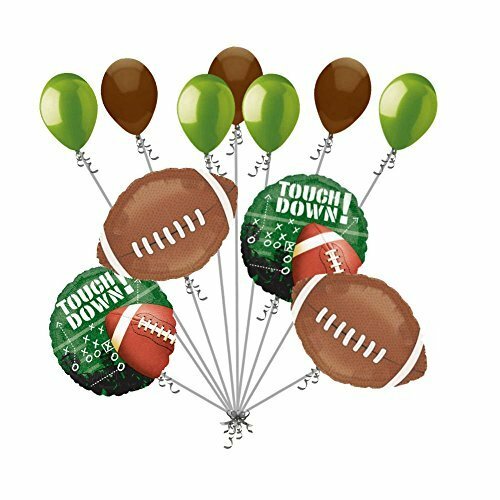 Included in this bouquet: 11 Balloons Total 2 - 18" Football Shape Balloons 2 - 18" "Touch Down!" 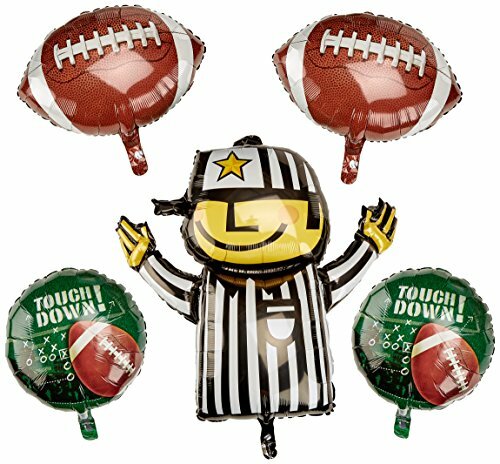 Football Frenzy Round Balloons 7 - 12" Mixed Latex Balloons (4 Lime Green, 3 Brown) These items may arrive flat or in retail packaging All balloons sold online are shipped out with no air/helium. Filled balloons don't travel well through different elevations. All balloons are sold without ribbons. 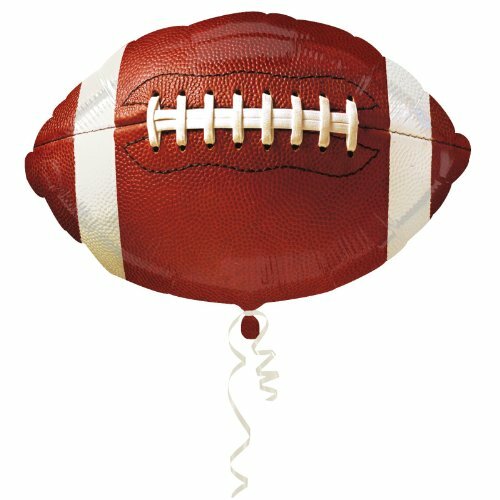 Includes 1 - 18" football mylar balloon. Recognized as the very best, Qualatex latex balloons are made in the USA and Canada from 100% natural, biodegradable latex with no added fillers. Earth-friendly latex Harvesting discourages deforestation because latex-producing rubber trees are left intact. A Tree can produce latex for up to 40 years! since 1917, pioneer balloon company has been in the business of making people smile. The Color, excitement, and magic of Qualatex balloons has welcomed troops home from War, celebrated the first man on the Moon, commemorated anniversaries, and announced births. Today, pioneer is a global company that offers promotional products, party ware, and balloon accessories in addition to the very best balloons - Qualatex. 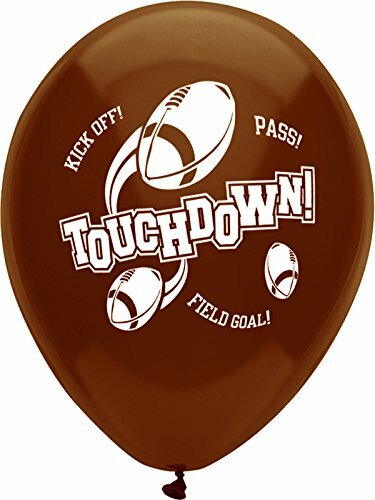 Your decorations will score a touchdown when you add this Football Mylar Balloon to your football or Fantasy Football party decorations. 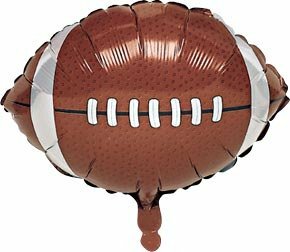 The Football Mylar Balloon looks great alone or in bunches. 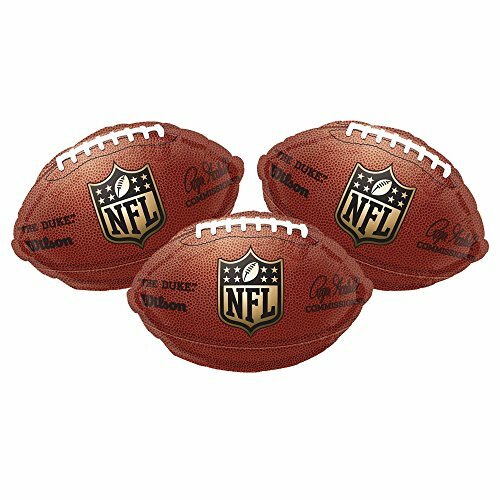 These balloons feature a football design with the officially licensed NFL logo in the center. Each pack contains three balloons. 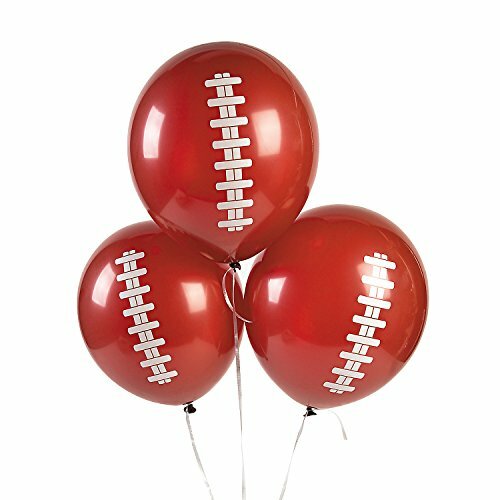 Makes a great decoration for a football themed party!